Carlos and Clarita have a pet sitting business. They were trying to decide how many each of dogs and cats they could fit into their yard. Cat pens require 6 ft2 of space, while dog runs require 24 ft. Carlos and Clarita have up to 360 ft2 available in the storage shed for pens and runs, while still leaving enough room to move around the cages. Make a table below showing different combinations of cats and dogs that they could fit in their yard while using all 360 ft2 of space. a. 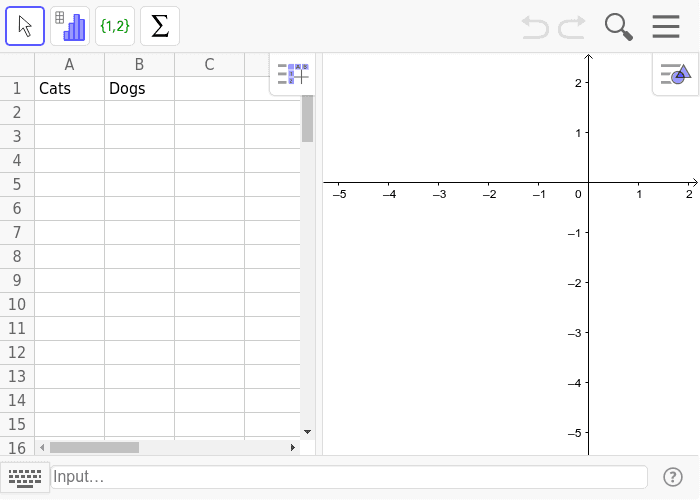 Write 5 ordered pairs (x,y) where cats are the input and dogs are the output. b. Write a function that represents these ordered pairs. c. Write 5 ordered pairs where dogs are the input and cats are the output. d. Write a function that represents these ordered pairs. 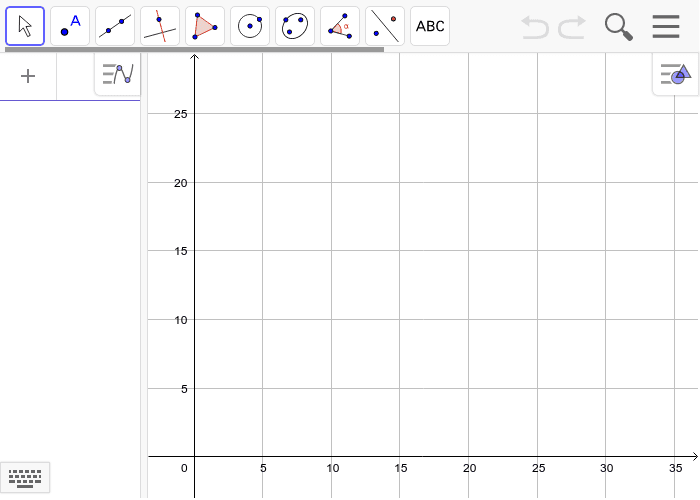 Graph both functions you wrote in the window below. a. How are the functions related? How can you tell? b. Describe how the graph of both functions shows this relationship. c. Define a reasonable domain and range for these functions. Glide Reflection is not a rotation!